From half-timbered homes to stately Gothic cathedrals, across shimmering fens and through lakes and rivers, the East of England is broad and varied, promising something for everyone. The university town of Cambridge boasts exquisite architecture and a long, rich heritage, while boat trips through the Broads will reveal large sections of unspoilt countryside teeming with wildlife. 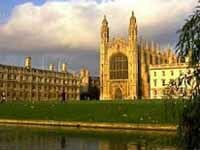 In the ancient towns of Ely and Lincoln are magnificent cathedrals, and King's College Chapel in Cambridge is arguably the finest example of Gothic architecture in Europe. 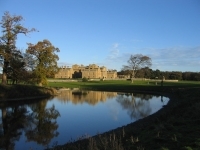 In rural Norfolk, visitors can discover some of the country's finest stately homes such as Blickling Estate and Holkham Hall. 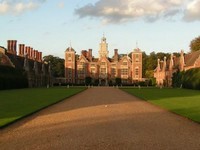 East Anglia provides a glorious combination of natural beauty and historic charm. 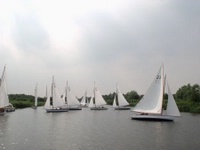 While devoid of any giant metropolis, a holiday in East Anglia is the perfect opportunity to explore the quaint corners of smaller towns and villages, or to pursue outdoor activities like horseback riding, hiking, sailing, quad biking, and bird watching. Cambridge is a wonderful travel base but there are also numerous quaint country B&Bs to provide charming accommodation.